A book about an intelligent young girl who absolutely loves space and dreams of being an astronaut… That’s a big YES from me! I thoroughly enjoyed this book and really loved Meg. I thought she was a wonderful character and a great example to young people of how loving Science is not a bad thing. I did have a rather significant issue with her mother though. Meg’s mum is beyond irresponsible and it really bothered me but it also gave us the chance to see Meg bonding with her baby sister and if there’s something I am a huge sucker for it is sibling relationships. Meg’s friendships were wonderfully written and I thought that the romance was well done too. This book also showed the effects of Meg’s anxiety without the book becoming about her anxiety, which I loved. Meg didn’t fit easily into her new lifestyle, she didn’t breeze into a relationship, she didn’t become a super popular person and just win her way to the top. She worked hard, she overcame her fears, she felt so real and I think Meg will resonate with many teenage readers. Have you read Stargazing for Beginners? What did you think? 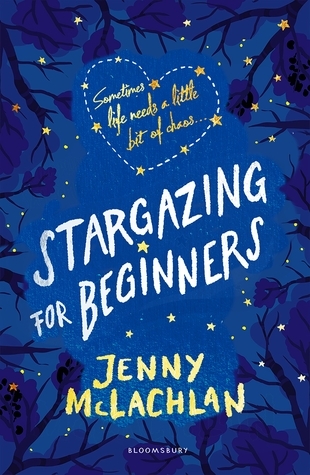 Stargazing for Beginners is such an intriguing title, and you may have mostly convinced me to try it! Sounds interesting, Kelly. Space is such a great metaphor for young adult life. Setting off into the great unknown etc.